Allergy Warning: Mama T's Ultimate Peanut Butter Protein Cookies contain dairy (whey protein), eggs, tree nuts and walnuts, sesame seeds, sulfates and gluten. Our oats are not gluten free and our cookies are prepared in a facility that may also handle other nuts and shellfish. Please contact us if you require more allergen information. Are you ready to take your love for peanut butter to the next level? We thought you might be. 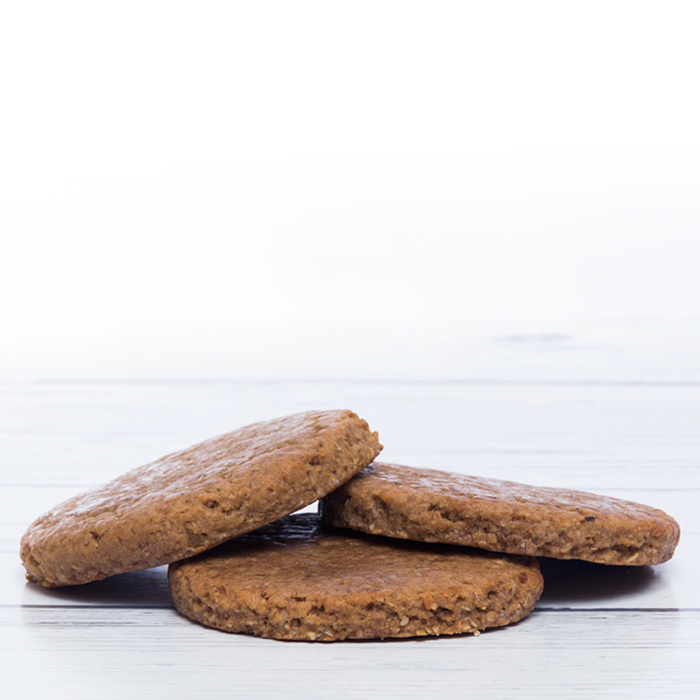 Mama T’s all new Ultimate Peanut Butter Protein Cookies contain 24 grams of protein per cookie. Now you get to enjoy soft, delicious peanut butter cookies just like your Mama used to make without the guilt. I absolutely love these cookies. The taste is amazing and they don’t have the sugar alcohol aftertaste of other products. Love you can read each ingredient and there are so few ingredients! I would HIGHLY recommend these to ANYONE. Amazing cookies with quality ingredients and nutrition label.